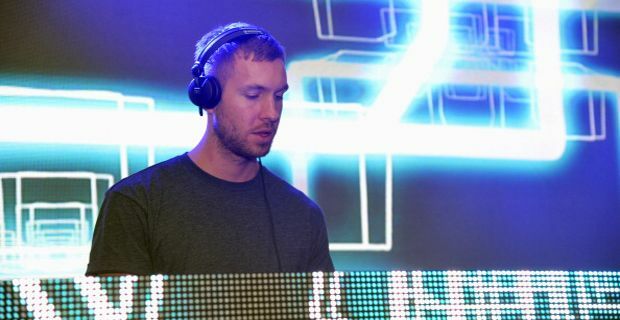 It was not so very long ago that Calvin Harris – purveyor of electronic cheese and dubious pop masquerading as club music was named the highest paid DJ in the world by Forbes magazine. The Scottish DJ-producer, who has enjoyed chart success with singles such as Drinking From The Bottle, Sweet Nothing and We'll Be Coming Back, was estimated to be on track for earnings of $46 million, putting the likes of Tiesto and David Guetta in the shade. His gigantic influx of cash may have a lot to do with a 70 show residency at the immense Hakkasan club in Las Vegas as well as licensing and merchandising, but it seems that while Vegas moguls all falling all over themselves to fling the readies at him, his girlfriend Rita Ora is unimpressed by his musical oeuvre. "Rita doesn't really like dance music. She doesn't really like my music, but I like hers," he told The Sun, adding: "We're not together for musical reasons, which is great." When pressed on the possibility of a forthcoming collaboration at some point during the budding romance, he answered. "We're trying to keep business and pleasure separate. And she's not really into the idea." Coming as solid proof of Ora’s taste in music, it does have one wondering whether Rita is barking ‘Oh for crying out loud Calvin – would you turn that racket down’ at him as he pieces his sets together. Harris is currently announcing dates for his forthcoming ‘Greater Than’ tour – which has already astonished critics with it’s understated, low key name. But then it involves Dutch plastic-man Tiesto who has yet to meet a soulless stadium he didn’t want to sell out. "We're gonna make it a massive, amazing-looking night. Everything we make from it is going to go on the production side," he said unconvincingly. "We have Pete Tong playing too. I want people to come knowing it's like a massive rave. When you think of DJing, you think of Tiesto. I wanted to do something like that rather than set out on my own. I didn’t want to take any risks. It's going to look amazing." But will it actually be amazing?